In a small bowl, make the spice rub. Stir together salt, pepper, cumin, chili powder, and cinnamon. Then coat the pork with the spice rub. Heat the oil in a 12 inch Dutch oven over a full spread of coals until the oil is hot and rippling. Brown the pork, turning, about 4 minutes total. Leave pork in the dutch oven. 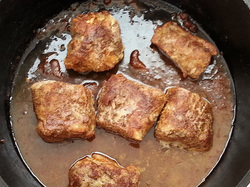 Stir together the brown sugar, garlic, and Tabasco sauce and pat on top of each tenderloin. Cover and Use 8 coals under and 16 coals on top. Bake at 350° until a thermometer inserted diagonally in center of each tenderloin registers 140 degrees, about 25 minutes. Remove from heat and let pork stand for 10 minutes. The temperature will rise to about 155 degrees while standing. 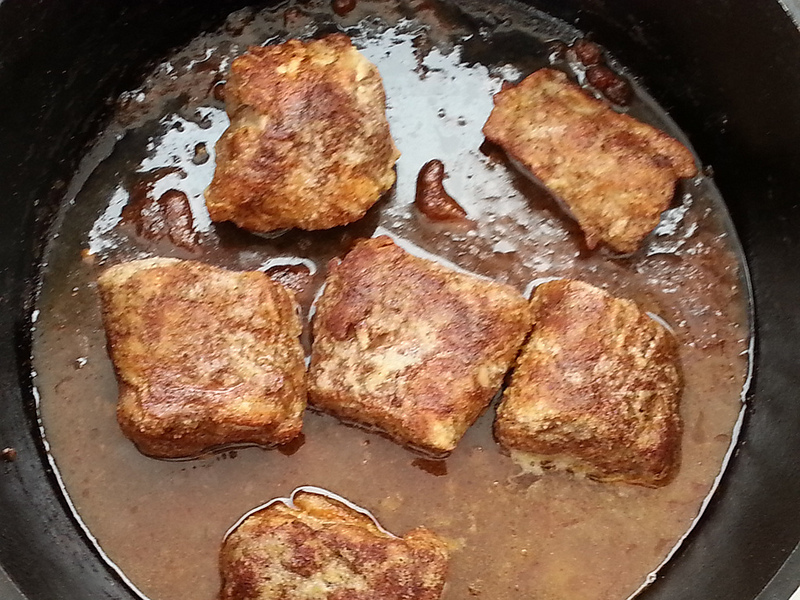 Slice on the diagonal and serve, spooning the sauce from the skillet on top of the pork.